Beauregard’s history dates back to the 11th century and the Order of the Knights of the Hospital of Saint John of Jerusalem, from which Beauregard’s emblematic Knights Templar cross originates. The knights were active in the Pomerol region, owned a small manor, and already farmed these lands. 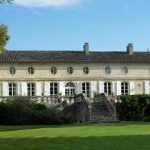 It was on this site, five centuries later, that the Beauregard family built the first house, which was replaced during the Napoleonic era by the present château -a magnificent Gironde chartreuse, created by a pupil of Victor Louis, the architect of Bordeaux’s Grand Théâtre. Which opens out onto a terrace with two dovecotes overlooking a moat and beautiful grounds. This residence inspired the Guggenheim family, who subsequently built a copy of it at Port Washington on the Long Island peninsular and named it “Mille-Fleurs”. It was in the middle of the 18th century that Beauregard changed from a mixed farming estate to a vine-growing property. Decade after decade, successive owners contributed to its development and towards its rank as one of the best wines in Pomerol. In 2014, the Moulin and Cathiard families purchased Château Beauregard and set about making sweeping changes. They also acquired the historical wine estates of Château Pavillon Beauregard in Lalande de Pomerol, Château Bastor Lamontagne in Sauternes and Château Saint Robert in the Graves. At Beauregard, the classic architecture of the site has remained intact. The two centuries-old chartreuse has been totally refurbished and now includes 5 luxury bedrooms which look out over the grounds and the vineyard. A new vat cellar was created adjacent to the existing barrel cellar, which itself has been completely redesigned. Two new reception areas have been created to welcome customers. The Second Wine of Château Beauregard, Benjamin de Beauregard, is made from a strict selection of plots on sandier soils. It benefits from the same high-performing vinification facilities as the First Wine; however, the winemaking is carefully adapted to include moderate extraction and short vatting periods. The ageing process is shorter and is carried out in no more than 30% new oak. Benjamin de Beauregard is made to be enjoyed at an early date, within 3 to 10 years of age. A deep, dense ruby-red hue. Intensely aromatic with notes of red berry fruit (raspberry, blackcurrant and wild strawberries) together with mocha and even leather. Lovely aromatic freshness. A round and silky attack on the palate. The tannins are soft and elegant. A suave and very opulent wine with hints of sweet spices. Plenty of fruit and crisp freshness enhanced by high quality ageing in barrel. Subtle and lingering oak notes coming through. This is a well-constructed, harmonious wine that provides immediate drinking pleasure.